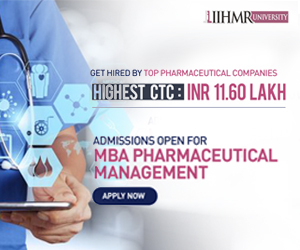 1department of pharmacy, regional institute of paramedical and nursing sciences, zemabawk 796017, aizawl, mizoram, india. 2department of pharmaceutical sciences, assam university, dargakona 788011, silchar, assam, india. Exposure to sunlight can trigger various biological responses ranging from sun-burn, erythema to skin cancer. Synthetic sunscreen formulations available in market pose variety of adverse effects. Therefore formulation of the herbal sunscreen formulation and evaluation of its sun protection activity is an important aspect in the cosmetic industry. The various herbal agents contain significant sun screen properties which might be useful for formulating herbal creams and lotions. Therefore evaluation of its sun protection activity is an important aspect in the cosmetic industry. The comparative values of the calculated sun protection factor of twelve commonly used vegetables were evaluated using Mansur equation. Hydroalcoholic herbal extracts were obtained and absorbances were recorded between 290-320 nm using UV-Vis spectrophotometer. It was observed that all of the tested herbal extracts showed some UV protection capabilities with hydroalcoholic extract. Hydroalcoholic extract of beet root showed highest SPF i.e. 39.48 while capsicum extract showed lowest i.e. 2.45. These plant herbals can be formulated in the form of cosmetics formulation because of their better acceptability, less irritant nature and also these are less expensive. Skin is considered as the longest and outermost part of the body and it is susceptible to the photodamage because of the direct exposure to the solar radiation including other environmental factors (Imam et al., 2015).World Health Organisation (WHO) classified ultraviolet light as carcinogenic and also it produces several adverse effects like mutagenicity, accelerated skin ageing, immune depression of the skin and photo dermatoses (Mbanga et al., 2015).Long term exposure to UV radiation induces the oxidative stress by generating the reactive oxygen species(ROS). 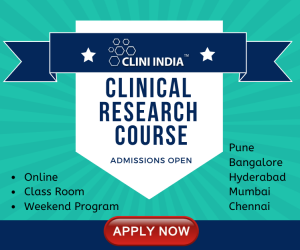 ROS triggers the various development of skin diseases including skin cancer (Patil et al., 2015).UV radiations are classified into UV-A (400nm to 320nm), UV-B (320nm to 280nm) and UV-C (280nm to 100nm). Among the three radiations UV-C is the most lethal to all living organisms as it possesses high energetic electromagnetic radiation. UV-C is mostly blocked by the ozone layer located in the stratosphere. Stratosphere also blocks most of the UV-B radiations. As ozone layer is depleting protection from UV-B radiation is gaining great importance(Ranjithkumar et al., 2016). UV-B radiation is the most dangerous to the human skin and largely responsible for the erythema of sunburn and suntan of the human skin. When human skin is exposed to the UV-B radiation, it’s get absorbed by DNA of keratinocyte (Mishra et al., 2011).UV exposure to the skin causes damage to the skin, thus photoprotection is important. Photoprotection can be done by using apreventive measure like a regimen consisting effective sunscreen and sun protective clothing. Sunscreen products can be used for sun protection from both UV-A and UV-B radiations. Sunscreen works mainly by two pathways (i) absorption and (ii) scattering and reflection of UV energy. Now a days sunscreen product contains both chemical and physical agents for sun protection (Wilson et al., 2012).From the market survey it was found that there are various sunscreen formulations are available in the markets. These formulations are having different sun protection activity depending upon the capacity of UV radiation absorption but most of the formulations are of high cost and incorporated with synthetic molecules are with high toxicity and even with carcinogenicity (Donglikar and Deore, 2017). The efficacy of a sunscreen is described by the Sun Protection Factor (SPF). SPF is defined as the UV energy required to produce a Minimal erythema dose (MED) in protected skin divided by the UV energy required to produce same MED in unprotected skin (Nadim A, 2005). Minimal Erythema Dose (MED) is the amount of UV radiation which produces minimal erythema (sunburn or redness caused by engorgement of capillaries) of an individual’s skin within a few hours following exposure (Heckman et al., 2013). Where CF = correction factor (10), EE (λ) = erythmogenic effect of radiation with wavelength λ, Abs (λ) = spectrophotometric absorbance values at wavelength λ. The values of EE x I (λ) are constants (Malsawmtluangi et al., 2013). TABLE-1: NORMALIZED PRODUCT FUNCTION USED IN THE CALCULATION OF SPF (Mbanga et al., 2014). Ethanol (Assay G.C. :92-95%) and Distilled water. Hitachi Double Beam UV-Visible Spectrophotometer (Model: U-2910,Wavelength: 100-1100nm,Spectral Band Pass: 1.5 mm,Light Source: W1and D2),Bench Top Centrifuge (REMI, R-8M) and Mixer Grinder. Fresh vegetables were taken and washed them properly under the tap water and rinsed with distilled water. The vegetables were size reduced with the help of mixer grinder. From the grounded vegetables 20 gm from each were taken separately in a beaker. A solvent mixture was prepared by mixing 60 volumes of distilled water and 40 volumes of ethanol and extracted overnight with 200 ml of that solvent mixture. After extraction then it was filtered with whatman filter paper. Then filtered extract was centrifuged for 20 minutes at 2000 RPM. The clear solutions obtained after centrifugation were scanned for absorbance between 290 nm and 320 nm at 5 nm increments. The obtained values were multiplied with the respective EE (λ)xI(λ) values and correction factor(CF) i.e. 10 (Malsawmtluangi et al., 2013). 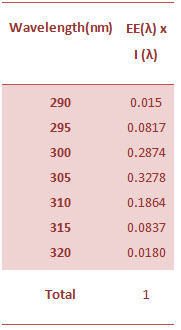 Sun Protection Factor (SPF) values of the selected samples were calculated using Mansur equation and shown in the TABLE-3 and the comparison of the SPF values of different vegetable extracts were shown in Figure-1. 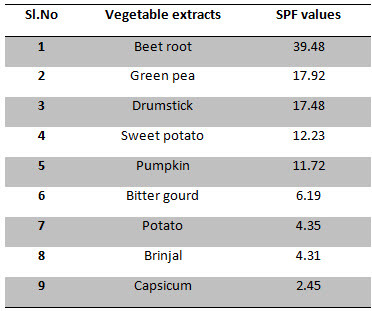 TABLE-3: SPF VALUES OF DIFFERENT VEGETABLE EXTRACTS. 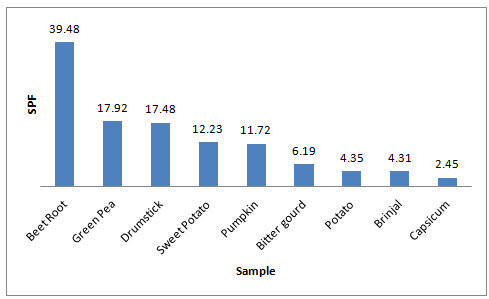 FIGURE-1: Bar graph for SPF values of different vegetable samples. The SPF is a numerical rating system to indicate the ability of sun care product to provide protection. In this study, the SPF values of different vegetable extracts were determined using In Vitro method. All the extracts showed some SPF values. The calculated SPF values ranges between 2.45 to 39.48. The beet root has highest SPF i.e. 39.48 among the studied samples. Some individuals are mild to moderate allergic to the certain chemical ingredients present in the sunscreen particularly avobenzene. Trace amount of avobenzene can be found in the urinalysis after the use. Thus sunscreen must effective in reducing sunburn but not necessarily the risk of cancer. There are herbal formulations which scatter the incident radiation effectively or absorb the erythemal portion of the suns radiant energy to protect the skin (Jangde and Daharwal, 2011). The study provided reasonable data to conclude that various vegetables possess sun protective property, which is capable of protecting the skin from the harmful effect of various physicochemical factors. The in vitro study of various sample of hydroalcoholic vegetable extracts showed some sun protection property which is undoubtedly beneficial to the skin. Now a days various types of sunscreen and sunblock formulations are there in the market such as cream lotion etc., but most of them are having chemical agents as lead molecule for showing sunscreen and sunblock activity. From long back, the use of chemicals in sunscreens as photoprotective agent in the formulation is a common practice. Owing to their harmful effects, they are becoming less popular now a day. A number of people with sensitive skin, such as those suffering from skin hypersensitivity don’t want to use chemical sunscreens due to concern about skin exposure to unknown chemicals. Although a variety of hypoallergenic cosmetic products have been introduced for customers with sensitive skin, there are still limited options in sunscreen agents. Therefore, the cosmetics having herbal components are more suitable for hyperallergic skin because they are less irritant and more easily adjustable to skin. Topical cosmetic formulations are the most preferred treatments asked by patients and are also often most prescribed by family physicians and dermatologists for various skin problems like sunburn, actinic keratosis, solar elastosis, etc. Patients feel more comfortable using topical therapies because they have milder side effects, are easier to use, are generally less expensive and are more readily available. Herbal cosmetics must have one or more active sun screening agent with antioxidant properties in order to achieve good photoprotection effect. Present study showed that various herbal vegetable possesses some good amount of sun protection activity in terms of Sun Protection Factor (SPF) number. In future, these vegetables might be incorporated in alone or in combination with other additives in the various dosage forms such as cream, lotion, etc. which are safer than chemical sunscreens and also might cost effective. 1. Donglikar, MM.,Deore, SL (2017); “Development and Evaluation of Herbal Sunscreen”; Pharmacogn J.; 9(1); 83-97. 2. Heckman, CJ., Chandler, R., Kloss, JD., Benson, A., Rooney, D., Munshi, T., Dalow , SD., Perlis, C., Manne, SL., Oslin, DW (2013); “ Minimal Erythema Dose (MED) Testing”; J. Vis. Exp. ; (75); 1-5. 3. Imam, S., Azhar, I., Mahmood, ZA (2015); “IN-VITRO EVALUATION OF SUN PROTECTION FACTOR OF A CREAM FORMULATION PREPARED EXTRACTS OF MUSA ACCUMINATA (L.), PSIDIUM GUJAVA (L.) AND PYRUS COMMUNIS (L.)”; Asian J Pharm Clin Res; 8(3); 234-237. 4. Jangde, R., Daharwal, S.J. (2011); “HERBAL SUNSCREEN: AN OVERVIEW”; Research J. Topical and Cometic Sci. ; 2(2); 35-39. 5. Malsawmtluangi, C., Nath, DK., Jamatia, I., Lianhimgthngi, Zarzoliana, E., Pachuau, L (2013); “Determination of Sun Protection Factor (SPF) number of some aqueous herbal extracts”; Journal of Applied Pharmaceutical Science; 3(9); 150-151. 6. Mbanga, L., Mpiana, P.T., Mbala, M., Ilinga, L.,Ngoy, B., Mvingu, K., Mulenga, M (2015); “Comparative in vitro Sun Protection Factor (SPF) values of some herbal extracts found in Kinhasa by Ultraviolet Spectrophotometry”; J. of Physical and Chemical Sciences; 2(4); 1-6. 7. Mbanga, L., Mulenga, M., Mpiana,P.T., Bokolo, K.,Mumbwa, M., Mvingu, K (2014); “Determination of Sun Protection Factor (SPF) of Some Body Creams and Lotions Marketed in Kinhasa by Ultraviolet Spectrophotometry”; International Journal of Advanced Research in Chemical Science (IJARCS); 1(8); 7-13. 8. Mishra, AK., Mishra, A., Chattopadhyay, P (2011); “Herbal Cosmeceuticals for Photoprotection from Ultraviolet B Radiation: A review”; Trop J Pharm Res; 10(3); 351-360. 9. Patil, S., Fegade, B.,Zamindar, U., Bhaskar, VH (2015); “DETERMINATION OF SUN PROTECTION EFFECT OF HERBAL SUNSCREEN CREAM”; World Journal of Pharmacy and Pharmacutical Sciences; 4(8); 1554-1565. 10. Ranjithkumar, J., Sameesh, A., Ramakrishnan, K., H (2016); “Sunscreen Efficacy of Punicagranatum (Pomegranate) and Citrulluscolocynthis (Indrayani) Seed Oils”; Int. J. Adv. Res. Biol.Sci. ; 3(10); 198-206. 11. Shaath, NA (2005); Sunscreen- Regulations and Commercial development; Third Edition; Taylor and Francis Group, USA; CRC Press. 12. Wilson, BD., MD; Moon, S., BS;Armstrong, F., DO (2012): “Comprehensive Review of Ultraviolet Radiation and the Current Status on Sunscreens”; J ClinAesthet Dermatology; 5(9): 18-23.